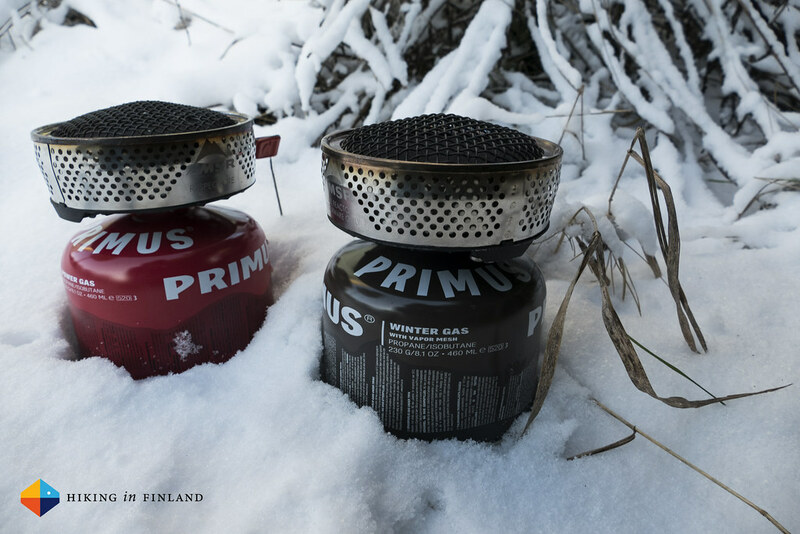 The Primus Winter Gas Test. In real Winter™ conditions. Answering the age-long question: Does it really work? “Everybody who has used a gas cartridge stove in cold conditions knows this: The lower the temperature, the poorer the performance of the stove. Even though the cartridge might be brand new! Why? Liquefied gas doesn’t evaporate properly the colder it gets. In addition, the evaporation process has a self-cooling effect on the cartridge, so conventional LP gas canisters perform poorer and poorer during use. Good, lets look a bit at that in detail. Yeps, I can sign that for gas stoves. See my OmniLite Ti Review and scroll down to the video at the bottom. Took quite a bit to boil that water and that was with an inverted canister (Canister, cartridge, they’re the same in case you’re wondering). Lets call this the hypothesis, which I am trying to prove. Some more information on the Vapor Mesh is in order, me thinks. It’s a type of paper that absorbs the liquid gas. When I went to school and learned to write with a fountain pen I always had a sheet of Löschpapier - Blotting Paper - next to me in case of a mistake. So Vapor Mesh seems to be working like blotting paper, but what’s the idea of putting that paper in there? This should get even better the less liquid gas is in the canister, as this makes the Vapor Mesh surface area larger. Gas goes down = more Vapor Mesh paper becomes exposed, sucking liquid gas up = more surface area for the liquid gas going from liquid to gas. OK, done, lets go outside. Look, I made a nice table to present my initial findings! Both canisters ignited equally well at -13°C and there wasn’t a winner - the temperature was well within the capabilities of the Power Gas, which might get problems if the temperature drops down to -20°C and more. Both the Power Gas and the Winter Gas used the same amount of fuel (18 g) to boil the 500 ml of water, but the Winter Gas was 30 seconds faster. This means at least the a), b) and c) points above hold true. I wouldn’t go as far as proving the hypothesis right as this was after all only one short test with two new canisters. The real test would be to repeat these tests until both canisters are empty, and then draw conclusions. x² As I usually don’t cook food on the trail and just melt snow and boil water in winter, I’d do this long-term test like the above one, just several times in a row till the canisters are empty. This represents the real-world conditions for backpackers much closer than letting the stove run for as long as possible in one session. Obviously my test is just starting to show the possibilities of the Primus Winter Gas, and I didn’t even touch on their claims of better performance over longer time. I’m happy to do that (x²) if time and responsibilities permit, but right now it’s either way to warm outside to test it and it will need to wait till I go north and chase winter. However, it did show that the Winter Gas did perform better than its sibling Power Gas, which was the de-facto gas most of us used in Winter (usually with an inverted canister stove). Now most often people that are serious about winter backpacking use a gas stove that allows them to invert the canister where the pre-heat tube at the stove lets the liquid gas vaporize to gas before it arrives at the burner, so I don’t know if Winter Gas is a must-have for them (the gas compositions of both Power & Winter Gas seem to be the same, only the new Summer Gas uses a different gas mix). However, many of us don’t want to buy an inverted canister stove just for the few times we go out in winter. 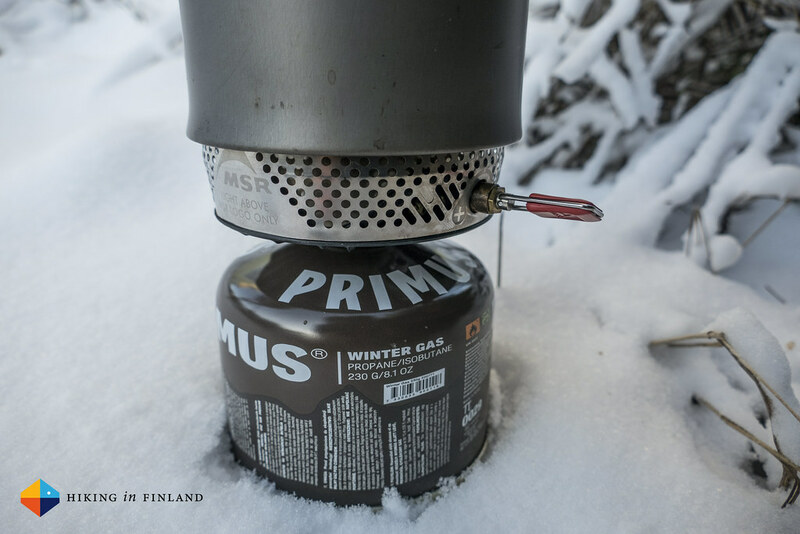 And that’s where I see the possibilities of the Primus Winter Gas: For all those people who use an upright gas stove like the Jetboil MiniMo, MSR Windboiler, MSR Reactor or Primus Lite+ and who want to try winter backpacking but not buy a new stove. 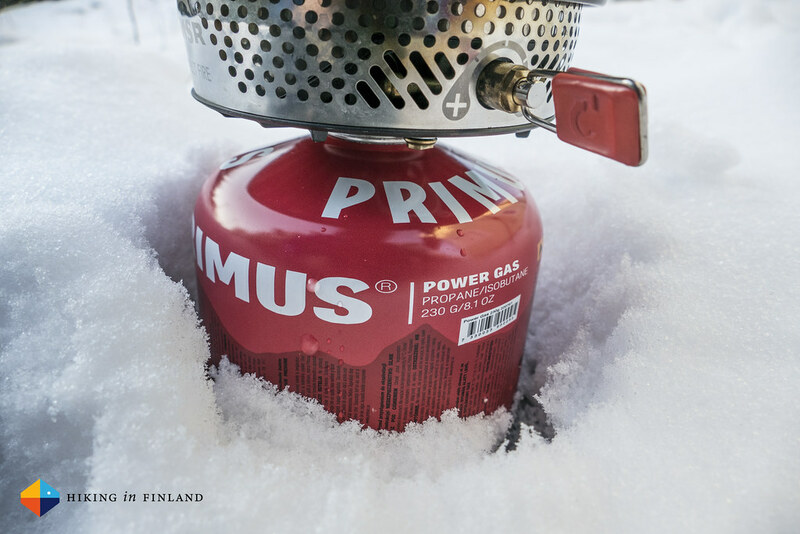 The Primus Winter Gas is around 2,50 € more expensive than the Power Gas but allows you to use the gas stove you have in cold winter temperatures. 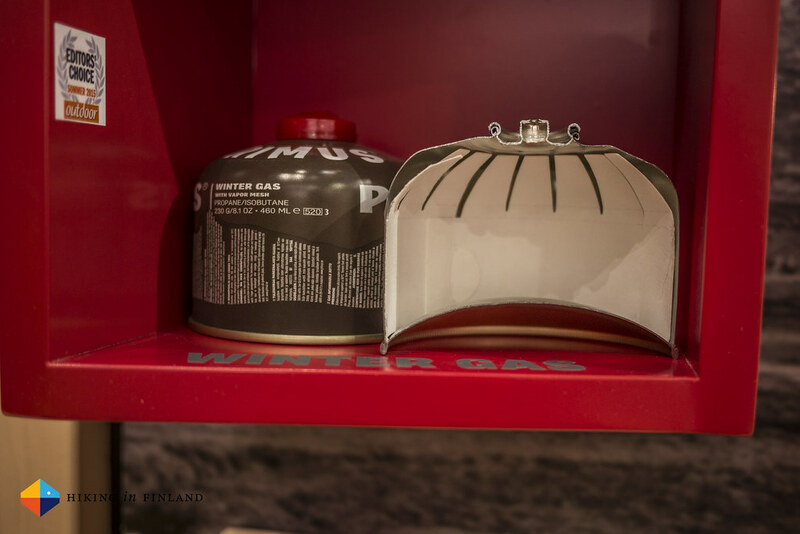 Which is a pretty neat thing, because usually upright gas stoves start to perform badly when the temperature drops and the canister gets emptier - the Winter Gas with its Vapor Mesh liner promises that your stove now will function just as good as in warm weather. I for one liked what my initial tests showed, and am looking forward to chase Winter up North and see if it performs also in the long run. 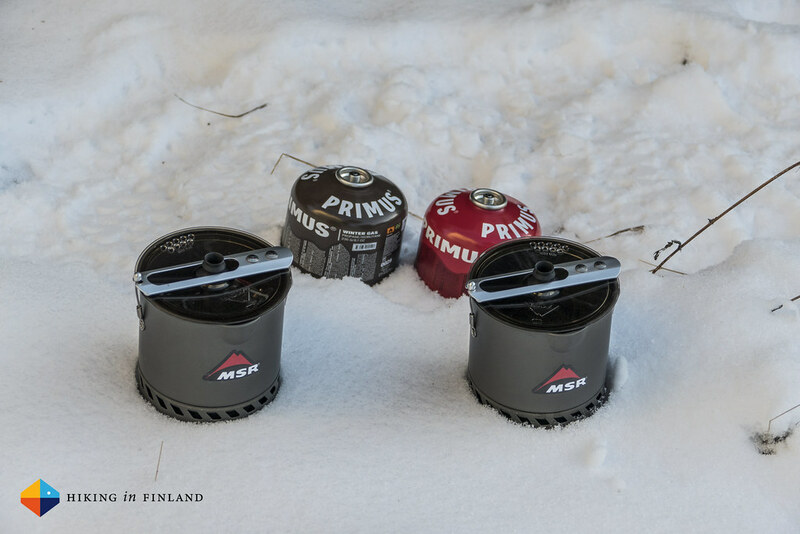 You can get the Winter Gas at your local Partioaitta Store in Finland or online at the usual suspects like Globetrotter and Bergzeit. Liked this? Then please share the article amongst your friends, fans & followers on Facebook, Twitter and Google+! I usually don’t do Disclaimers but here’s one: The Power Gas and Winter Gas have been sent to me for free and I was under no obligation to produce any content about nor endorse it. The statements represents my findings after using these items, at the time of testing and writing. x² If you’d like me to do just that, buy me a cup of coffee or two so I have something warm to drink while I’m standing outside in the cold.